Chennai sources reported that Special Deputy Tahsildar and a Zonal Deputy Tahsildar who gave orders to shoot at protesters in Tuticorin on May 22 have been transferred by the administration. Meanwhile Thoothukudi District Collector Sandeep Nanduri, on Friday, issued the transfer order of eight officers with immediate effect. Accordingly Kannan and Shekar, the special deputy tahsildars who were on duty on the day of the Sterlite protests in Thoothukudi have also been transferred. 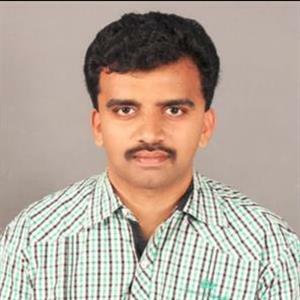 As per report Kannan has been transferred as the sub-tahsildar of Kayaththaaru and Shekar has been transferred as the sub-tahsildar of Thiruvaikundam. Moreover it was only a few days back that it was revealed that Shekar, had ordered the policemen on duty to fire at the protesters at the Collectorate. Meanwhile, M Kannan, Thoothukudi Zonal Deputy Tahsildar, had said in his statement given to the Thoothukudi North police station that he gave firing orders at Threspuram. Furthermore he claimed that a large group, mainly women protesters, had entered the police quarters with dangerous weapons like machetes and petrol bombs, and therefore he gave orders to shoot. Hence all these developments have led to an important question as to who is authorized to issue shooting orders and in what situation is it acceptable to open fire at civilians. AP IAS Association Sensing Chandrababu Coming to Power Usually, Bureaucrats can sense the change of the Power. The officers who are on the government side will suddenly switch sides to the new party if the change is imminent. But things are different in Andhra Pradesh. Some senior IAS officers close to LV Subrahmanyam called for a meeting of the AP IAS Officers’ Association at Punnami Ghat guest house in Vijayawada.